The answer is EVERYWHERE! 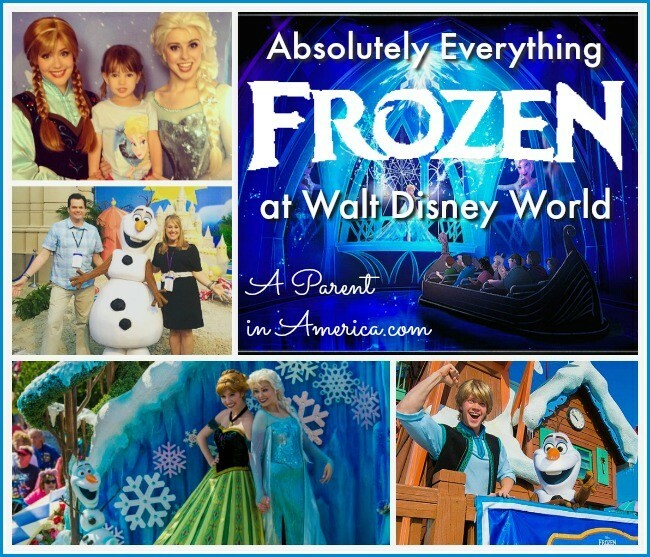 The genius Disney Imagineers have ensured that families can get their Frozen fix across many of the Walt Disney World Resort parks…and even in their resort hotel rooms! The Frozen Ever After Attraction and Ride and The Royal Sommerhus Meet and Greet with Anna and Elsa! 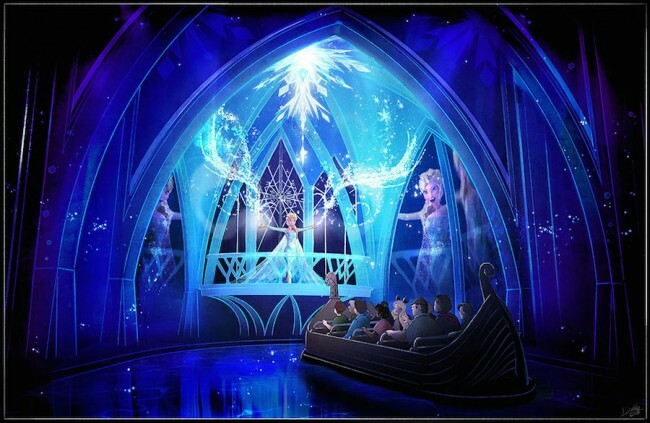 Frozen Ever After is an indoor boat ride attraction that will be located in EPCOT’s Norway (housed in the former location of the previous Maelstrom ride). This all-ages and very family-friendly ride is designed to transport visitors to Arendelle for an on-the-water journey set to the beloved Frozen soundtrack and even featuring new arrangements, too! Composers Bobby Lopez and Kristen Anderson-Lopez created new lyrics to the cherished Frozen film songs. The story of the ride is that after the events of the movie, it is summertime in Arandelle. However, good Queen Elsa has used her fantastic ice powers to create a special “summer snow day” for the kingdom. Visitors will enter the kingdom through a stone archway and meet Queen Elsa, Princess Anna, Kristoff, Olaf, trolls and snow creatures on their boat journey. You will travel through the frozen willow forest, past Troll Valley and up to the North Mountain to Elsa’s ice palace. 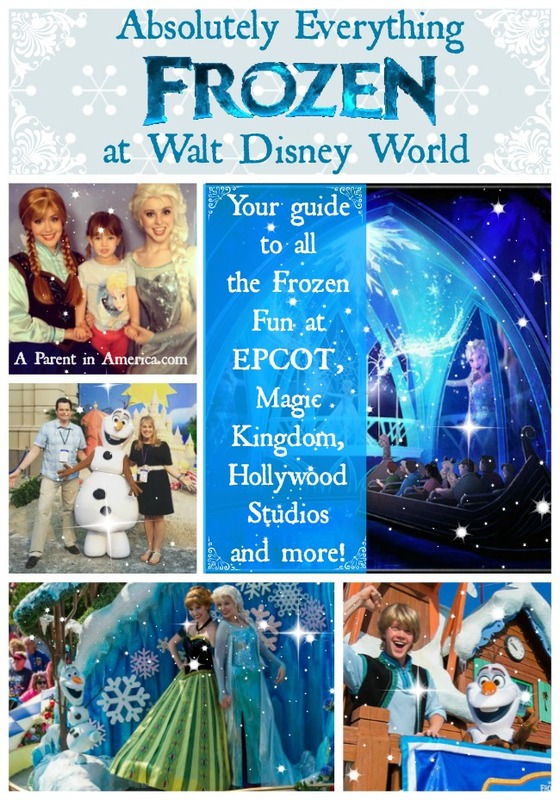 Fastpass+ is available for Frozen Ever After and you can begin booking now! Located next door to Frozen Ever After is Royal Sommerhus, the mountain summer getaway of the Arendelle royal family. 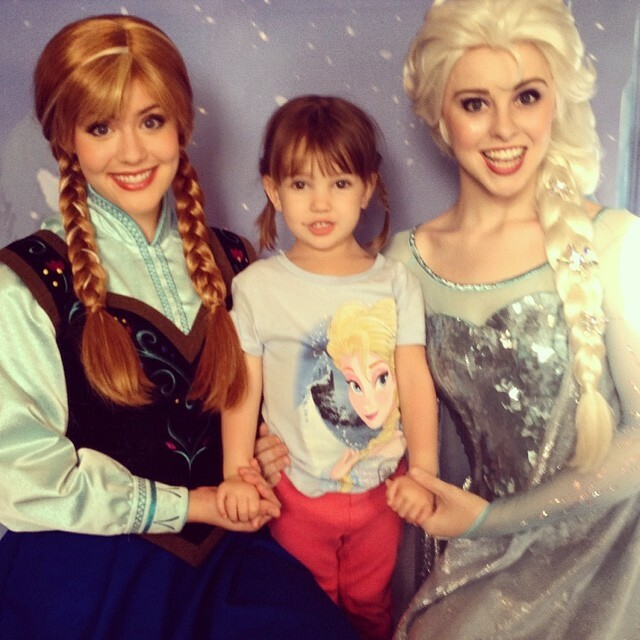 There Anna and Elsa will happily greet and take pictures with their visitors. Walt Disney Imagineers traveled to Norway to research architecture, décor and artifacts that inspired the Frozen film in order to faithfully create a new home for the sisters that invokes the spirit of the story. In fact, the design of Royal Sommerhus and the surrounding area is modeled after a traditional Norwegian cabin in Trondheim. EPCOT’s Norway Pavilion, which houses these amazing new attractions, will open at 9 a.m., along with the Future World area of Epcot. Akershus Royal Banquet Hall: Book an 8 a.m. seating at this Norway princess breakfast with Snow White, Cinderella, Belle, Aurora and Ariel and when you are finished you can get right in line to meet Anna and Elsa at Royal Somerhus. This breakfast booking allows you entrance into the park before the gates open at 9 a.m.
Meet Mulan at the China Pavilion: China is located near Norway, so you will be nearby the meeting place of our favorite warrior princess, too! On June 16, 2016, Anna and Elsa will depart from the Magic Kingdom’s Princess Fairytale Hall, and instead greet visitors at EPCOT beginning June 21, 2016. 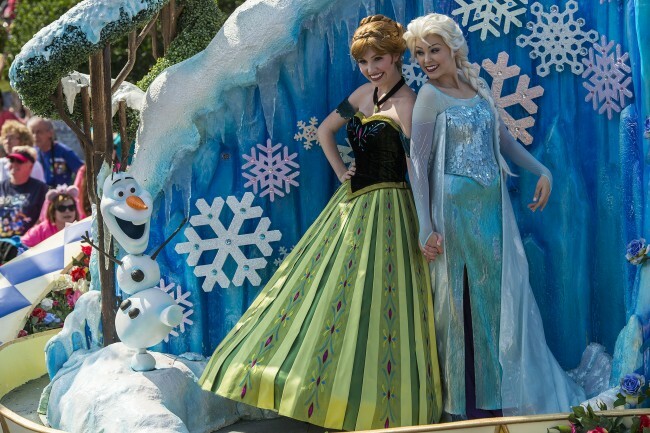 However, Elsa and Anna still appear every day at Magic Kingdom Park in the Festival of Fantasy Parade, and they also perform in the newMickey’s Royal Friendship Faire show coming to the Cinderella Castle Forecourt Stage. 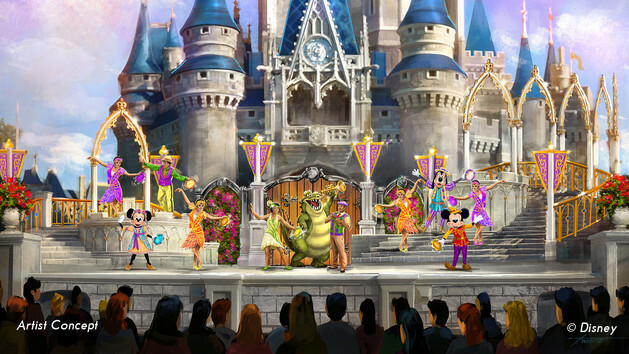 Opening June 17, 2016 is Mickey’s Royal Friendship Faire: an all-new, live stage show at Magic Kingdom park in front of Cinderella’s Castle. We are all invited, and Mickey has invited Elsa, Anna and Olaf to join him on stage, and lots of other characters, too. You’ll see Tiana and Naveen, Rapunzel and Flynn, Donald and Daisy, Goofy and more. The joining of classic and new Disney names makes for a show full of dancing, special effects, favorite songs from the films and new music, too. The Festival of Fantasy Parade occurs daily at Magic Kingdom, and Anna and Elsa wave from the Disney Princesses float! With them are Cinderella, Belle and Tiana, too. This is our family’s favorite parade for it also features Peter Pan’s pirate ship, Rapunzel and Flynn swinging from the rafters of the Snuggly Duckling and even Maleficent as a steam punk dragon breathing real fire! 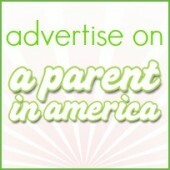 Bibbidi Bobbidi Boutique: Kids can become transformed into mini Annas and Elsas themselves in this magical beauty salon. Boys can become brave knights, too. 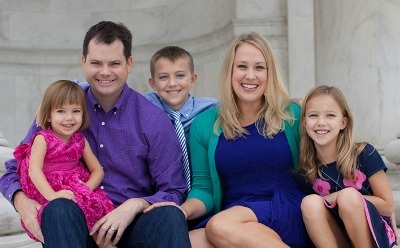 Makeover packages include hairstyling and make-up services, manicures, costumes and photos. Enchanted Tales with Belle: Children meet Belle and help her re-enact her story of meeting the Beast. Under the Sea – The Journey of The Little Mermaid: A family-friendly ride through the classic story of love on land and under water. At Disney’s Hollywood Studios Park, kids can see Frozen on stage…and sing along! They can also give warm hugs to their favorite summer-loving snowman Olaf. At the Frozen Sing Along Celebration, visitors sit in a Broadway-style theatre and enjoy the enchanted retelling of the Arendelle kingdom tale, with plenty of jokes and surprises along the way. All of the most-loved songs in the film are featured and the audience sings right along with the characters. 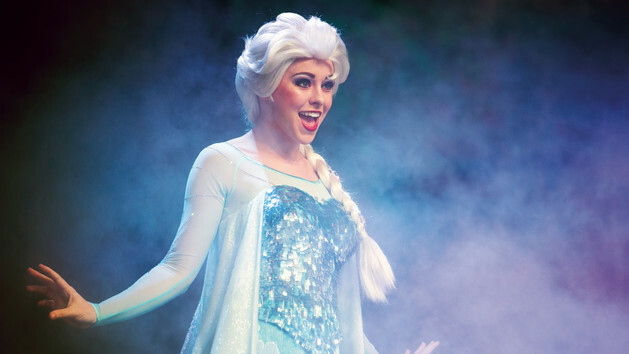 Kids will be wowed to see Elsa, Anna, Kristof, Olaf and more of Arendelle’s folk onstage. 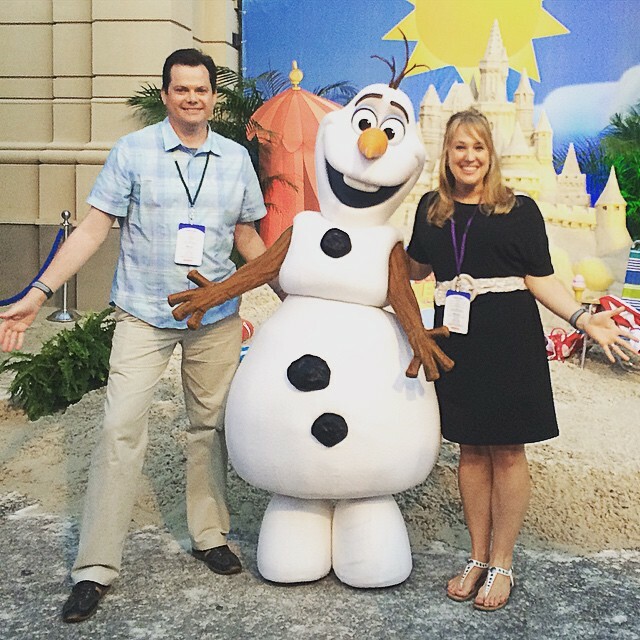 The newest addition to the character meet and greets at Disney’s Hollywood Studios Celebrity Spotlight is Olaf! Olaf is living his dream of enjoying summer, chilling on the beach and ready to give warm hugs to all his new friends. Guests can get Olaf’s autograph, snap their own photos with him, and a Disney PhotoPass photographer is on hand to capture all of the special moments. 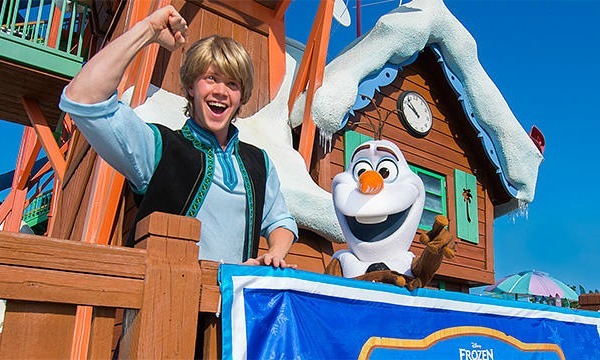 Kristoff and Olaf are the hosts of the very first Frozen Games at Disney’s Blizzard Beach Water Park this Summer 2016. May 27 through August 21, visitors to the water park can join Team Kristoff or Team Olaf each day and participate in a variety of winter-themed activities including ice pail relays, a “snowball” water balloon toss, ski pole limbo and races down the waterslides. Sign up for this all-day event when you arrive at the park entrance. All activities are included with regular admission to Blizzard Beach. You can also see Olaf and Kristoff on the Observation Deck near Summit Plummet every day for the Frozen Games opening and closing ceremonies, as well as giving updates on their teams’ progress throughout the day. 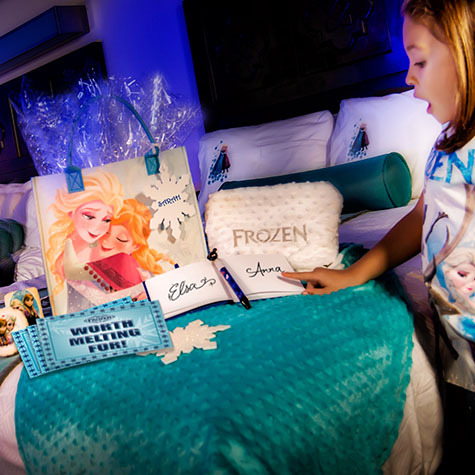 If you really want to completely captivate and warm your Frozen-lover’s heart, you can have your Walt Disney World resort hotel room decorated in a Frozen theme and filled with Frozen gifts! Anna and Elsa’s Warm Welcome includes a Frozen door banner, tote bag with snacks and goodies, stuffed Olaf, autograph book and pen, Frozen vision glasses, Anna and Elsa pillowcases, snowflake luminaries, light-up Frozen lanyards for pins, photo cards and a welcome note card. Check out more in-room surprises you can pre-order for kids at Walt Disney World. I hope you enjoy this key to all the Frozen magic when you visit Walt Disney World with your little Frozen fans this summer! Disclosure: I was hosted at Walt Disney World for the Awaken Summer press preview event. No additional compensation received. All opinions are my own. Looks amazing! I’m glad your family was able to enjoy this!